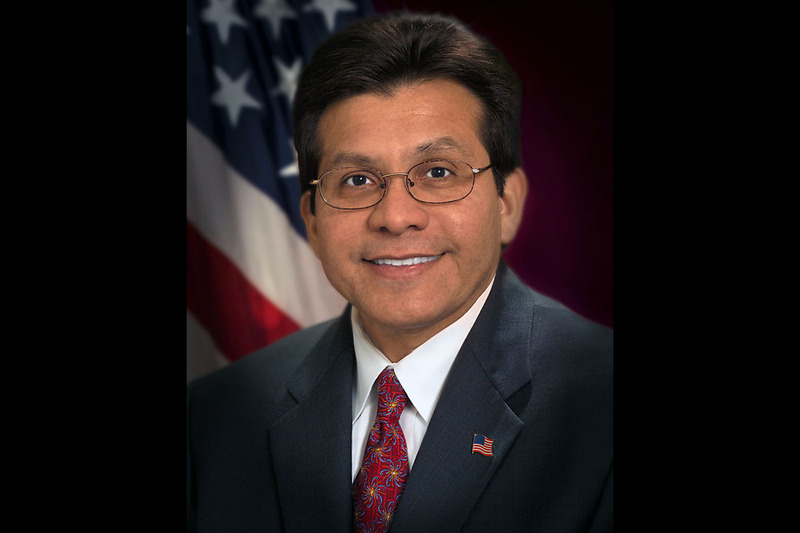 Clarksville, TN – Judge Alberto Gonzalez, former U.S. Attorney General, will be the keynote speaker at the 4th annual Dining with the Stars Gala on March 4th, 2017 at 6:00pm at the Riverview Inn. Presently Judge Gonzales is a member of the NCAA Division I Committee on Infractions and he serves on the board of directors for the United Way of Metropolitan Nashville and the Community Foundation of Middle Tennessee. Previously he was also an appointee of Tennessee Governor Bill Haslam to the Governor’s Commission for Judicial Appointments and the Governor’s Management Fellows Executive Committee. Former U.S. Attorney General, Judge Alberto Gonzalez to speak at 4th annual Dining with the Stars Gala on March 4th. 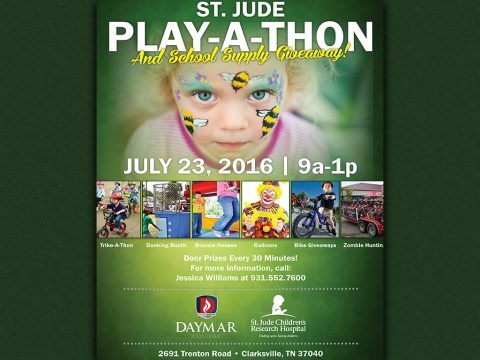 Clarksville, TN – Daymar College, in Clarksville, will host a Play-A-Thon family event July 23rd, 2016 from 9:00am-1:00pm. There will be inflatables, carnival type food, music, games, a ride-a-thon, door prizes, limited school supplies and a drawing for a bike or two. Clarksville, TN – On Friday, July 15th, 2016, the 3rd annual School Resource Officer Golf Scramble will be held on Friday, July 16th, 2016 at the Swan Lake Golf Course. This is a four man scramble with a shotgun start and pre-registration. 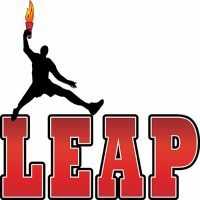 The entry fee is $60.00 per player. 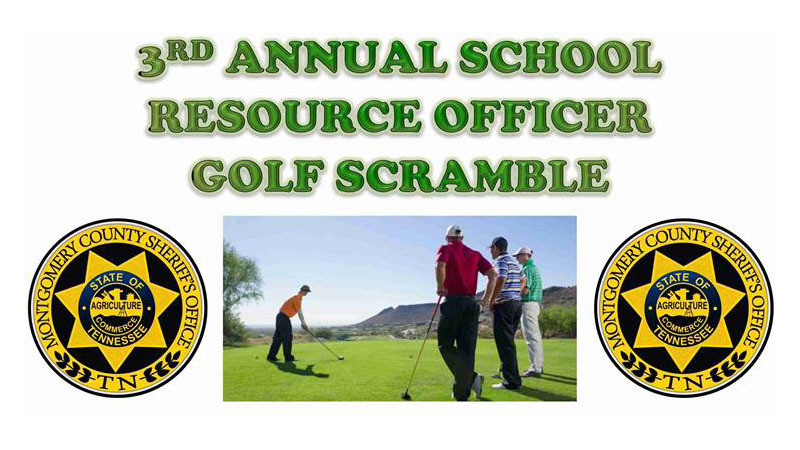 Entry fee includes Greens Fee, Cart, Lunch, Door Prizes and more. $20.00 for two Mulligans, Skirt and a Throw can be bought the morning of the scramble. 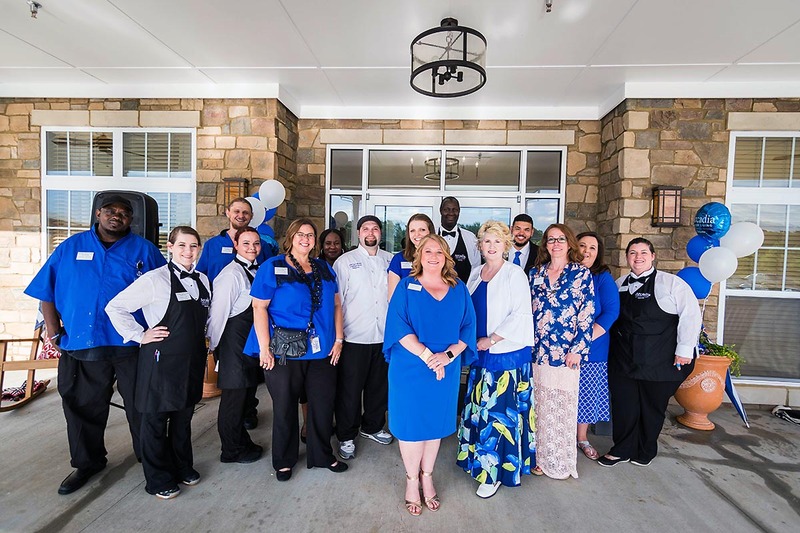 Clarksville, TN – Essie Saulman is no ordinary small business owner. 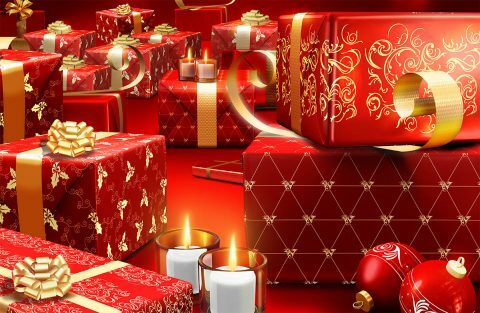 A military spouse married to an Army combat veteran who is now retired, she is a relative newcomer to the Clarksville business community. After deciding on Clarksville as a perfect retirement residence, Saulman desired to do something meaningful with her creative skills and ability, she decided to enter into the catering business in February 2014 and soon recognized how a thriving business community can contribute to a healthy local economy. She is the sole proprietor, owner and operator of Exquisite Creations Wedding & Catering and since residing in Clarksville has established a tremendous repore with a number of other local business owners. 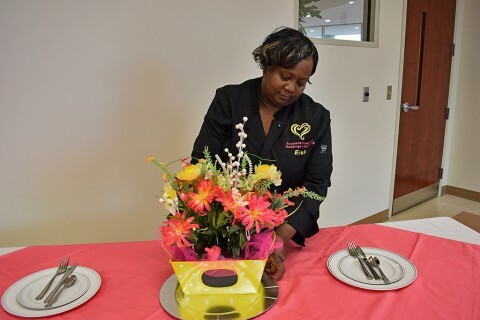 Exquisite Creations Wedding & Catering owner Essie Saulman. Cumberland City, TN – Yellow Creek Baptist Church held their annual Community Easter Egg Hunt on Saturday, March 26th, 2016. Registration started at 9:00am and the Easter Egg hunt began just after 10:00am. 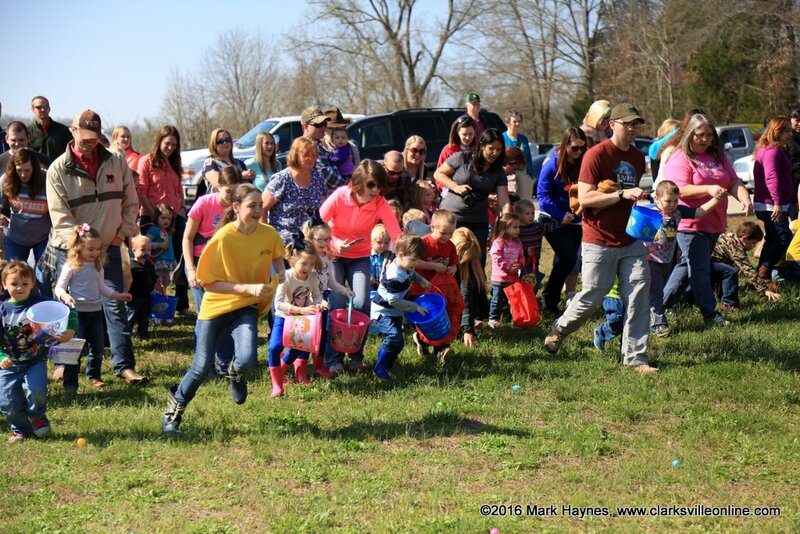 The Easter Egg hunt was divided into three divisions: Pre-K, K-2nd grade and 3rd-5th grade. 10,000 eggs filled with candy were scattered between the three fields. 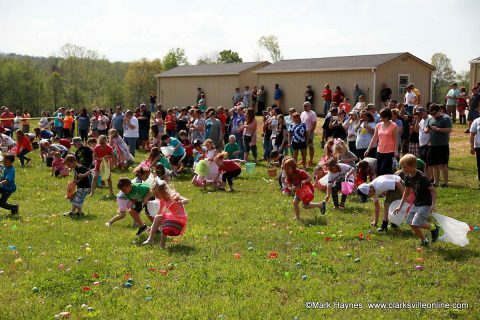 Each division also had 200 eggs with tickets. Each child that registered got a ticket. Those tickets make them eligible for the door prizes. 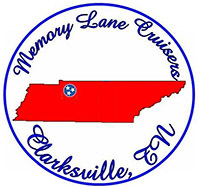 Clarksville, TN – Memory Lane Cruiser’s Cruise Night has a brand new site. 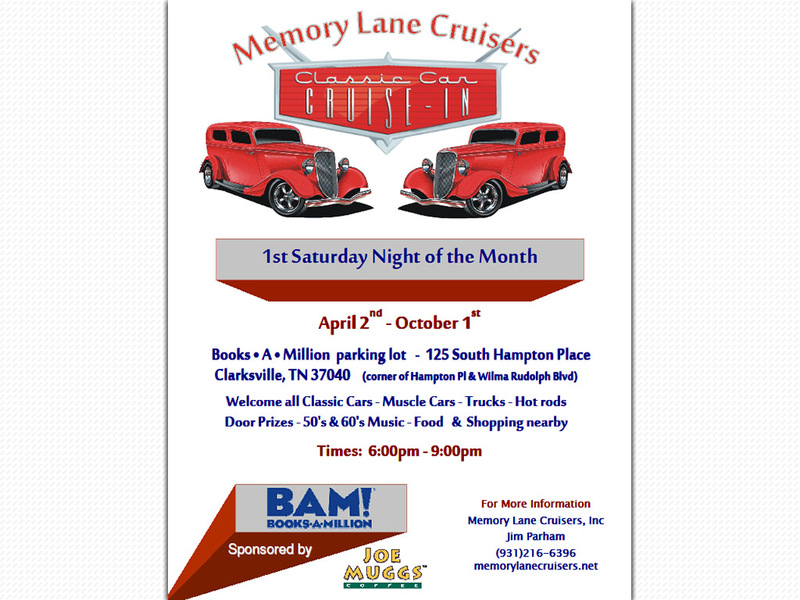 Starting April 2nd – October 1st, Time: 6:00pm – 9:00pm, they will be cruisin at Books A Million parking lot, located at 125 Hampton Place, Clarksville, TN 37040 (Corner of Hampton Place and Wilma Rudolph Boulevard). They welcome all classic cars/trucks, muscle cars, streetrods and hotrods. 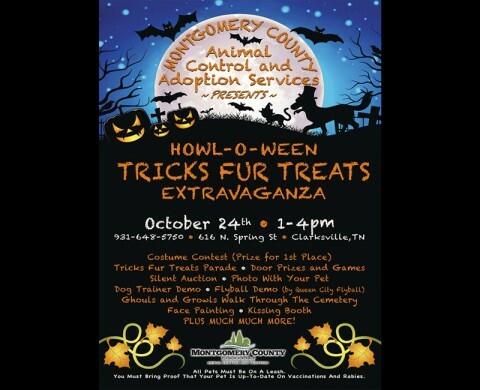 There will be Door prizes, 50’s/60’s Music and more. 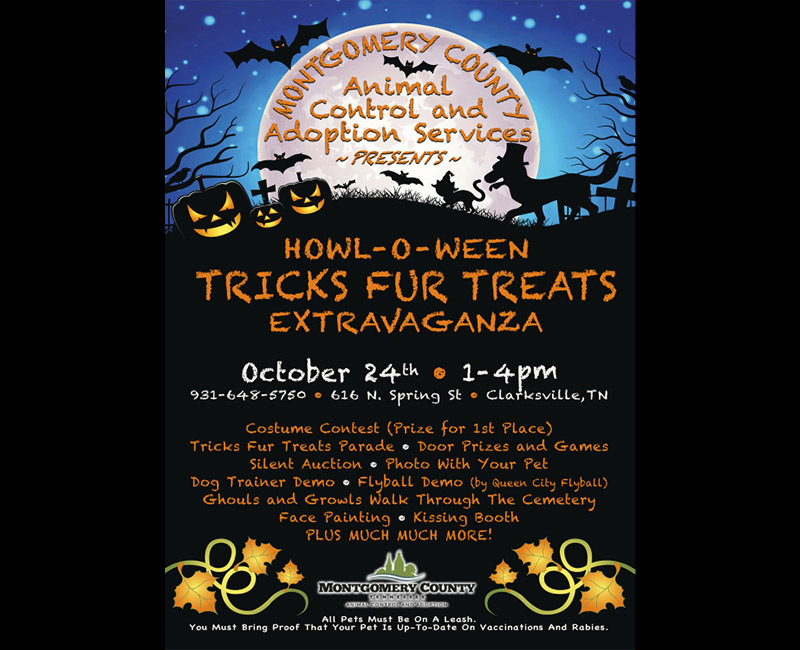 Montgomery County, TN – Montgomery County Animal Care and Control will host its first annual Howl-O-Ween Tricks Fur Treats Extravaganza on Saturday, October 24th, from 1:00pm to 4:00pm at their facility located at 616 North Spring Street. 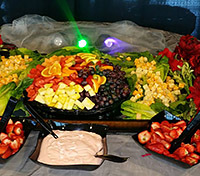 This first time event will event will foster community outreach and public awareness, give booth participants the ability to showcase their businesses and organizations, and help the animals at MCAC at the same time!